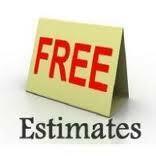 We offer FREE in home consultations to discuss all our liquidation options. We offer many services to assist every situation from Estate sales, Tag Sales, Private Sales, Estate Online Auction and Moving Sales. We will come up with a successful plan for any situation even if our competition tells you they cant do it we can. 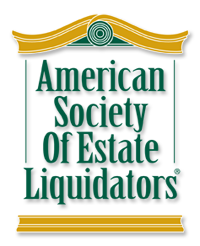 We have the knowledge and experience needed to run successful estate sales. We organize, display, research, Appraise high end items, price, advertise, and sell the contents of the home. We supply all the equipment needed including tables, clothing racks, jewelry cases, price tags, bags and wrapping paper, staff members and more. The house is staged in a professional manner, we empty closets, dressers, basements etc. and display your items to get max sales results. So sit back, relax and watch us make you money! What exactly does our company do for you? -Sales Staff, Tables, Table clothes, Clothing racks, display cases for valuables, professional price cards etc. -We price items according to fair market value with professional price cards. -Appraiser Available to guarantee the best Fair Market Price for your items. -We supply all the staff to run the sale so the sale runs smoothly. -We manage every aspect of the sale from start to finish ensuring the house is kept organized throughout the day. -We advertise and promote your sale to the tri state area through many outlets including our Nationwide estate sale newsletter, Newsday online and many other websites that include tons of pictures featuring your items for sale, we also have a huge follow on Social media networking sites including Facebook, Twitter, Craigslist. We also do tons of local advertising with our large professional Nationwide Estate Sale signs around town ( if allowed ) and much more! -We also have many contacts including large moving companies, Realtors, Lawyers, Antique Dealers and other resources throughout the entire tri-state area that we will refer to you. -Once the sale is complete we have contacts that we can offer you depending on what items are leftovers and the value to help liquidate items that are not junk before the clean out crew comes through. -After the above step is complete we offer full clutter and junk remove. The house will be left broom swept so you will be ready to put the house on the market or do the walk through with your realtor. For most estate & tag sales, we start working in the home a few weeks before the sale date to stage the home and start pricing research. We bring in tables to display the items to be sold. We also have clothing racks and lockable showcases to be used when necessary for your estate sales.Pricing is based on our knowledge of the market-place, a large reference library and our network of professionals with expertise in specific areas of estate sales and antiques. We unload cabinets, closets, drawers and price items. Disposal of unsold items, clutter removal and clean outs are also available. We will do our best to help you sell after the sale is complete. After additional options are exercised we will assist you would our clutter and junk removal service to get the house ready for the new owners or the realtors. To find out more information about these services click this link Clean Out Services. What kinds of things do we sell?